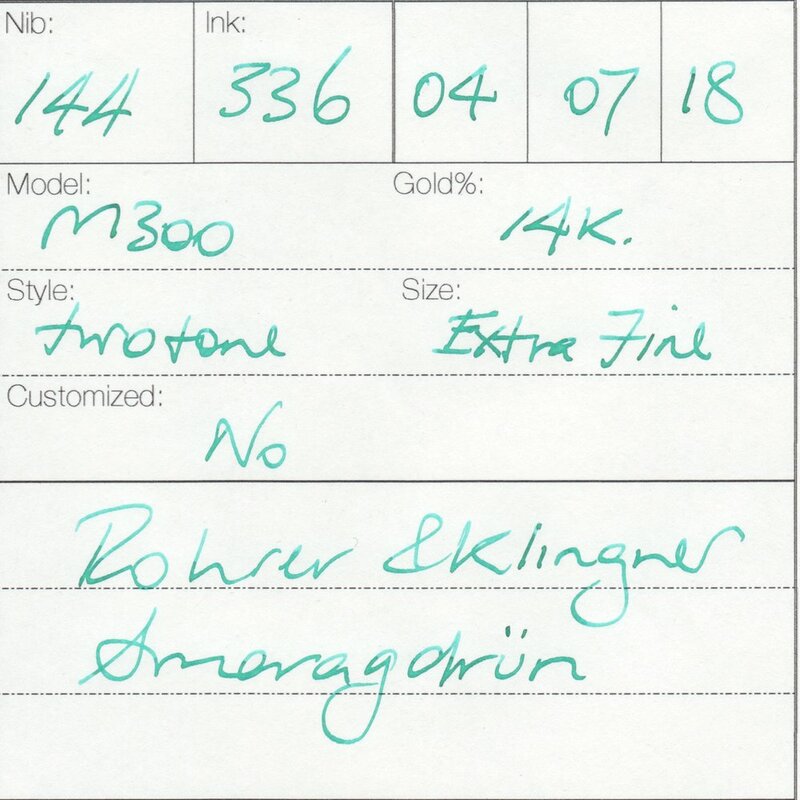 Getting this M320 Jade Green Special Edition pen has been a saga. It was released in 2007 so this pen was only to be found on the secondary market. I had four seperate attempts over three years to get one. The first was a purchase from a Japanese store using the White Rabbit buying service. Someone beat me to placing their order for the same pen 30 seconds before me. The second attempt was 18 months later from a Japanese vendor on eBay. I paid my money and two days later they cancelled the sale, no reason given, but I got a refund. The third attempt was three months ago, again eBay, this time out of the UK, this one got to Australia but was lost by a local courier - so close, but yet so far. I got a refund after a month on that one. Then just last week my permanent search on eBay surfaced one again from a vendor in Japan (I wonder if the majority of this model were sold in Japan). I bought it and waited for something to go wrong but it made it successfully here - so four times a charm. This pen is lovely shade of green and the material is almost identical to that of the M600 Vibrant Green Special Edition. I am so happy to finally get this pen and to complete my set of M320 models. I really wish that Pelikan would grind their Extra Fine nibs like this these days. Look at that tipping - it produces fine vertical lines with slightly broader horizontals. 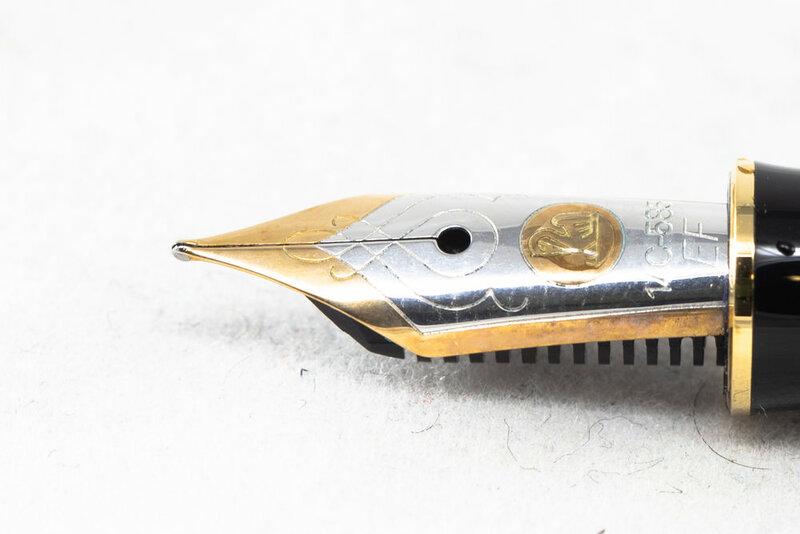 The nib itself has a bit of tarnish on the Pelikan symbol but that does not detract from its use. I tried to find a green ink to ink up for this pen's first use but the nearest I could find near the top of the list was R&K Smaradgrun - which is more of a bluish-green. This ink shades beautifully even from this fine nib.